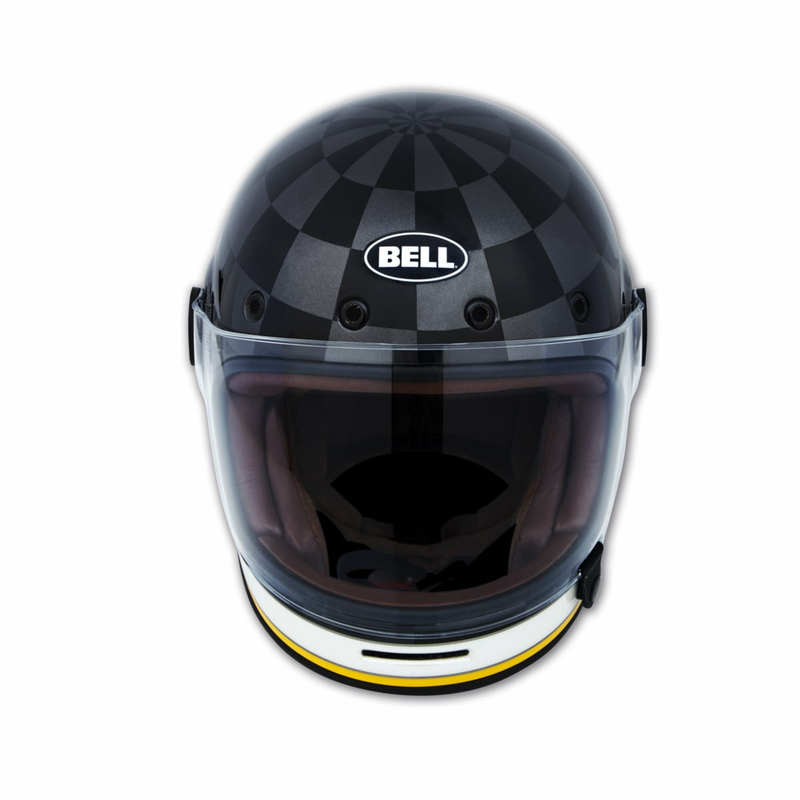 The new Check Ace helmet in perfect Café Racer style is based on Bell's Bullitt model. 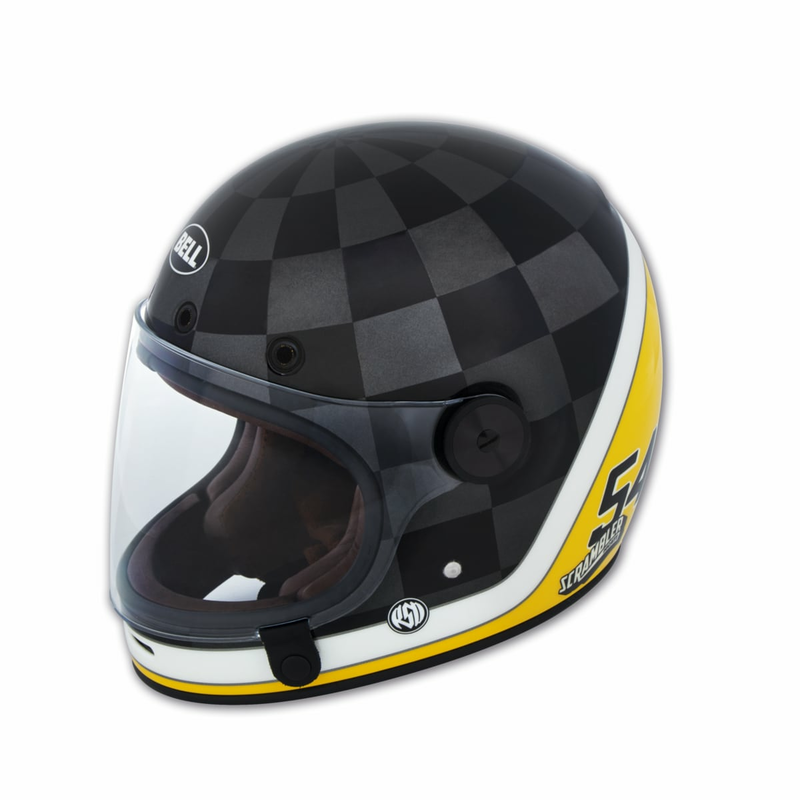 The iconic Scrambler® yellow surrounds a black and metallic gray checkerboard graphic typical of the Café Racer, transforming the design into a compact, clean-cut work made by Roland Sands Design. The composite fiber shell with an unmistakable look has 4 front air intakes and one outlet. 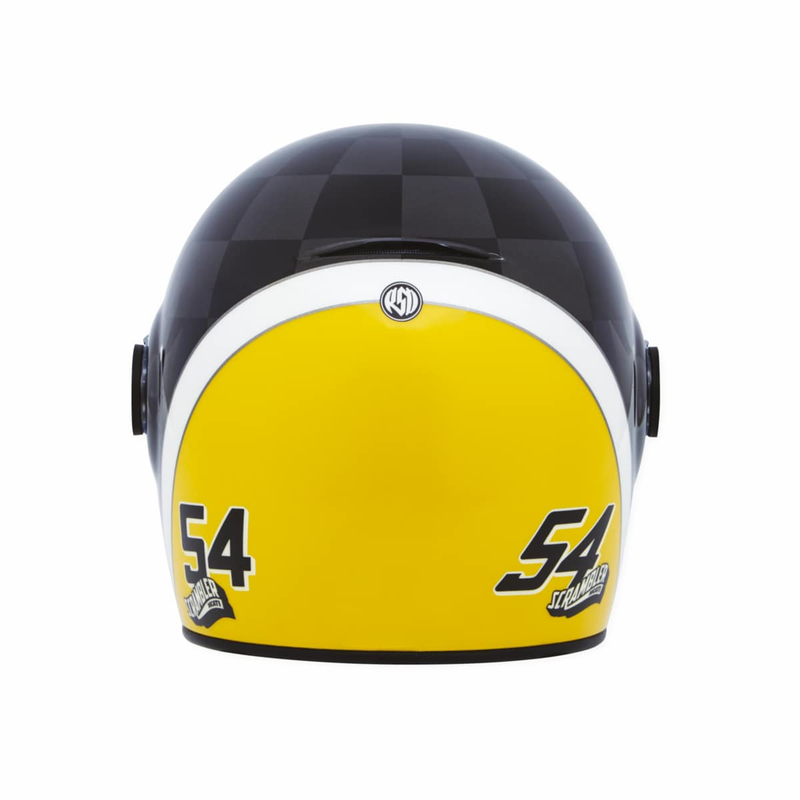 The well-finished detachable interior gives this helmet great comfort, making it a modern classic in all respects. The helmet is supplied with a clear visor. Other visor colours must be purchased separately. Reference model: Bell Bullitt.